Since the first train journey in India from Bombay’s Bori Bunder to Thane in 1853, railway operations have developed significantly. The introduction of railway as a transport technology has brought about a transformation of the economy of India. It brought the Ist Industrial revolution in our country. The demand for cheap and efficient transportation increased exponentially since then. To increase the efficiency, safety and line capacity in terms of more trains utilizing the track, the signal and track elements were first mechanically, later electrically and now digitally controlled. Traditional approaches for increasing the capacity involves high capital expenditures with long gestation periods. There in a constant & urgent need to improve the operations of all aspects of train operations. So the question is – Can the modern technologies offer any alternative? What does the future hold? To answer this, many railway infrastructure managers worldwide are investigating on Blockchain technology to use for railway operations so as to increase Quality of Service, availability, capacity and transparency at massively reduced costs. 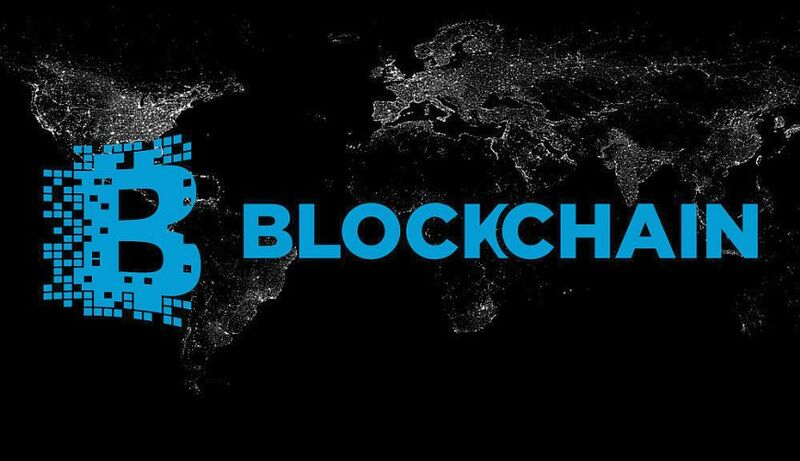 Blockchain is one of the noteworthy discoveries in digitization where the coalesce of cryptography with data authentication on a distributed network was initially targeted to make online financial transactions secure but its unique advantages are now opening window to various other commercial applications such as – smart contracts, car industry, healthcare, internet of things (IoT), marriage certificates, e-voting wills and insurance, food safety and travel. Let us investigate this technology and its suitability to address the issues of Railways. Blockchain can be perceived as a kind of open distributed digital ledger that can record transactions between two parties efficiently and in an authentic way. Rather than relying on a third trusted party such as a bank, it uses a peer to peer approach where verification and validation are done by the nodes of the distributed network. Not only this technology eliminates the involvement of a Third Party for the purpose of authentication (very often these Third parties become the source of security breach) but also chops the extra transaction cost that goes to them. Using this approach, the possibility of fraudulent transaction is minimized to zero because the group of transactions called blocks is not only protected by digital signature that subsequently goes through a mathematical puzzle for time alignment, but also needs to be the longest and fastest one in the network amongst the existing good nodes to succeed. This means that all transactions are fully secured and fraudulent transactions, if any shall form a long chain of such blocks which will be transparently visible to all parties clearly identifying the perpetrators for disciplinary action and also such fraudulent transactions will be next to impossible to get overlooked. Thus this mechanism is completely secured from hacking by outsiders through spoofing, phishing, etc. Blockchain is the legacy of an anonymous creator known as Satoshi Nakamoto , which was conceptualized in 2008 a paper entitled “Bitcoin: A Peer-To-Peer Electronic Cash System” This paper described the flow system of the electronic cash that would allow online payments to be sent directly from one party to another without going through any financial body. This first kind of electronic transaction system was coined as Bitcoin which is now relegated to crypto currency amongst all others existing in the evolving system of secure transactions. A few months later, an open source program implementing the new protocol was released that began with the Genesis block of 50 coins. Anyone can install this open source program and become part of the bitcoin peer-to-peer network. A Blockchain system is a distributed network consisting of users called ‘nodes’. Each user is protected by a private key which is kept hidden from all other users whereas a public key assigned to him is visible as his public identity. Each transaction is sent to the “public key” of the receiver digitally signed using the “private key” of the sender. The receiver verifies the digital signature of the sender using his “public key”. After such verification a transaction is allowed to form a group with others that occurred at the same time. This group is termed as ‘block’ and a chain which forms by linking these blocks in a proper linear, chronological order is called Blockchain. Any node in the network can collect unconfirmed transactions and form a block which is broadcast to the rest of the network. However since this can be done by multiple nodes at the same time, arranging of such blocks in chronological order is important which is done by using a mathematical puzzle. This is also known as “proof of work” where a node generating a block needs to prove that it has put enough computing resources to solve a mathematical puzzle. Such puzzle is not trivial to solve and the complexity of the problem can be adjusted so that on average it takes ten minutes for a node in the Bitcoin network to make a right guess and generate a block. There is very small probability that more than one block will be generated in the system at a given time. The node which approves the block broadcasts it to rest of the network. In case more than one block is solved at the same time, it may lead to several possible branches. However, the math of solving is very complicated and hence the Blockchain quickly stabilizes, meaning that every node is in agreement about the ordering of blocks a few back from the end of the chain. The nodes donating their computing resources to solve the puzzle and generate block are called “miners” and are financially rewarded for their efforts. The network only accepts the longest Blockchain as the valid one. Hence, it is next to impossible for an attacker to introduce a fraudulent transaction since it has not only to generate a block by solving a mathematical puzzle but it has to at the same time race against the good nodes to generate all subsequent blocks in order to make other nodes accept its transaction & block as the valid one. This job becomes even more difficult since blocks in the Blockchain are linked cryptographically together. Cryptographically secure: Owing to the consensus mechanism, cryptographic security has a high threshold. Transparency: The entries made on a public Blockchain cannot be altered and hence offers a time-stamped version of the ‘truth’. Integrity: The data on Blockchain is always complete, accurate, reliable and authentic. Once consensus is achieved on a data entry by the miners, it cannot be altered. Moreover, the data available in a single public ledger shared among several parties is more reliable than multiple databases. Cheap and Efficient: Blockchain eliminates the need of a centralized repository and authentication by a third dedicated party which reduces the cost and at the same time offers more efficiency. In Blockchain, all participants share the same relevant infrastructure information. In concrete terms, this means that all vehicles can communicate with each other via smart contracts and with the track elements such as signals, points or level crossings. This simplifies the infrastructure and the availability of the entire system can also be improved. Rewarding travelers for their continued purchasing of a travel ticket has become an important marketing tool for credit card companies and railways. For this, loyalty programs need to be accurate and user-friendly to ease the complexity involved in keeping an account of passenger’s loyalty points and redemption as per the defined policies. Recently, San Francisco has developed a Blockchain based loyalty Software named ‘Loyyal’. The platform not only seeks to improving the interoperability between multiple schemes but also allows invoicing and payment transfer between partners using smart contracts. Redemption of reward points from one service to another such as automatic credit of points after a train journey, which can further be used to pay an online cab service shall add to a better travel experience. For undertaking journey in any reserved class on Indian railway, a prescribed proof of identity shall be available online. On Blockchain, identification of the passenger, change of booking or enquiry can be done using traveler IDs which eliminates the need to carry any hard copy of id proof during travel. Trains have complex mechanical and electrical systems with hundreds of thousands of moving parts. To deliver a reliable service, trains need regular maintenance that can be triggered when a certain mileage is reached, after a particular time period, or by monitoring the condition of parts. Condition monitoring involves checking the operation of the equipment and only changing something if it shows signs of deterioration. The IoT and the availability of complementary technologies have even made it possible to predict the failure of some items of equipment. The use of Blockchain coupled with the ever-evolving sensor technology of trains or infrastructure components can be seen as the basis of modern maintenance, in which the individual components independently register their requirements. With the propagation of IoT based condition monitoring, there will be a complex network interconnecting the sensors to the controllers which would be aggregated to the centralized data centers storing vital data serving as nerve centers for command and control. With such levels of concentration of data, the potential for threats are immense. Here Blockchain can be used to secure the network from tampering, misuse and with “proof of work” a clear audit trail is available for the authorities to monitor. Trenitalia, the primary train operator in Italy is building a prototype to enable it to predict failures before they happen, rather than just react to them. It has put IoT sensors on its locomotives and passenger cars and is using analytics and in-memory computing to gauge the health of its trains in real time. The project will change Trenitalia’s business model, allowing it to schedule more trips and make each one more profitable. The railway company will be able to better plan parts inventories and determine which lines are consistently performing poorly and need upgrades. The new system will save €100 million a year, according to ARC Advisory Group. Currently the signaling in Indian Railway is carried out by centralized systems which give instructions to train operator. The biggest challenges with such approach include system failure, loss of communication, data security, human error, driver’s death, or ad-hoc traffic diversion needs. In consideration to these inevitable factors, railway frameworks need to have safety frameworks to prevent collisions and derailments. But such dispatching and safety frameworks come with their own demerits such as complexity, huge cost, manpower overheads, heterogeneous nature and interoperability issues. But also this can be controlled by the adoption of Blockchain which can all at once handle for ad-hoc traffic, deviations, construction-caused alterations, equipment failures etc by converting it to a modular “Transportation Operating System”. This decentralized system shall make it possible for the trains and line-side equipments to work as first-level active participants and carry out several actions such as wayfinding, booking, setting a switch to a correct position, interacting with other vehicles, algorithm driven speed control, automated braking, GPS driven Train localization. All these actions shall be network driven and ensure compliance with the standard working rules. The reliability of which shall be derived from the matching of physical reality (trackside equipments) and the IT representation (IoT Digital twin). This would enable the detection of trackside malfunctions and prevention of accidents. For train movement control, an idea of logical decentralization may be looked upon. Going by the principle of Blockchain and utmost consideration to security and human life, the validation of every action shall be done by strong authorities as multiple parties such as station masters. Even though the system is more complex than logical centralization, large-scale networks with decentralized decision-making have appeared and maintained operation effectively e.g. the public Bitcoin and the public Ethereum Blockchains. Such networks succeed in horizontal scaling, a working set of rules for consensus (which is a systematic decision-making using defined majority rules), and in fault tolerance. At the same time, achieving suitable QoS and performance (latency, throughput and predictability) while maintaining scalability remains challenging in Distributed Ledger Technologies (DLTs) and Blockchains. Many national rail networks provide “open access” to competing passenger and freight railways, which pay regulated fees for infrastructure usage (tracks, stations, energy supply). Likewise, the “back office” sells ahead-of-time access rights since network access is strictly controlled to enable timetabled train operations to maintain their quality of service. Using a Blockchain, both the allocation of access rights and the actual payment for them would happen transactionally and instantly using Blockchain wallets, where the balance of a wallet is stored on the Blockchain ledger. Swiss Federal Railways, government-owned railway company of Switzerland, sells bitcoins at its ticket machines. All interactions (from ticket purchase to subcontractor payments) can be handled using a Blockchain driven consistent, trusted, replicated ledger “data base” of an API-driven multi-modal “Transportation Operating System” that can be shared by all the layers e.g. procure ment, HR, maintenance, construction, governmental oversight, insurance, retailer, vendor, etc. In Figure 6, the most essential parts of such system are shown. Each shown part exists in several instances: there are sovereign rail networks both at national level and regional levels along with above mentioned layers. There are several variants on the basic theme, with different design choices made at various points. Also, even if the Blockchain technology used is identical, two different deployments may not be able to talk to each other. Uncertainties pertaining to regulation, technological uncertainty, energy consumption, cybersecurity and integration with existing systems are also one of the challenges Blockchain has to overcome. The unrestricted access available to the auditors, may itself be misused, either intentionally or inadvertently. This needs to be considered and where possible, mitigations should be applied. 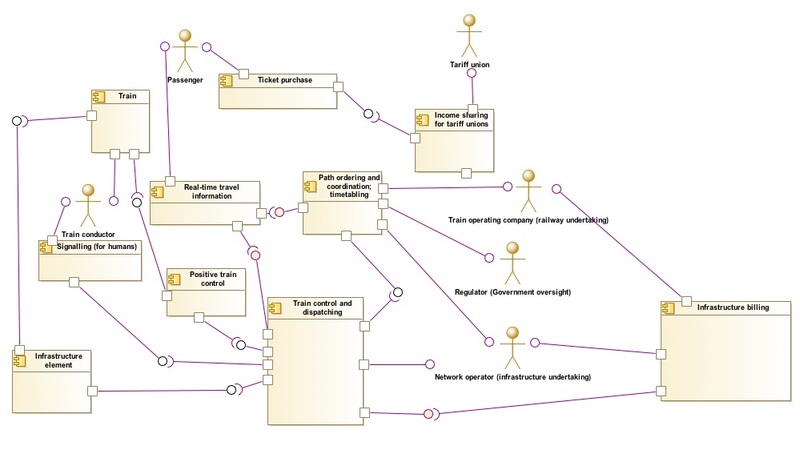 Arbitrary entities may not know the details of transactions between others but despite not knowing the identity behind any specific transactions, it may be possible to mine the data from several transactions and use their combined information to figure out who the parties may be, perhaps by connecting this data with external events. This needs to be resolved. The system also needs to make sure that some specific parties, such as duly appointed auditors or a regulatory body, or their appointees, are able to access specific data to a level they need to perform their functions. For this, the system needs to regulate restricted access for external parties/auditors. Based on the type of application, Blockchain network may face scalability constraints such as network bandwidth and data storage. In addition, there can be hardware limitations driven by software and administrative configurations interface related limitations on the basis of consumer technology penetration. Other factors such as size of block and time gap between two consecutive blocks also effect the scalability. More the size of the block, more will be the number of concurrent transactions taking place. The approach includes the enablement of trains to establish trade relationships with each other, e.g. to enable unsupervised monetary compensation from a delayed express train to a freight train when the latter yields its priority so that the express train can reduce its delay. The technology like Blockchain can be a critical component in such modernization efforts of Indian Railways, considering the fact that the modern train control technologies such as ETCS L2 / CBTC are IP based and susceptible to cyber security threats and hacking. In this paper, I have introduced Blockchain-based decentralized railway control and its prototype implementation, which combines traditional safety principles with cutting-edge IT technology. Trains can determine possible routes and book them directly (both ad-hoc and in advance), based on transparent and binding smart contracts which ensure conflict-free resource booking. At the same time, my approach coexists with centralized batch planning that produces long-term timetable and which integrates pre-planned construction sites – across railway undertakings. Given a myriad of existing structures and practices which Blockchain can penetrate, not only the integrity of their output and efficiency shall improve, our way of working and interacting with these processes shall also shift to a new level. With this, existing ones shall be lesser used and gradually eliminated from both social and business models. Technology leads to more technologies, making development a never ending chain of which Blockchain is one of the steps. Together, the partners shall examine how Blockchain technology can enable a more significant and efficient use of railway infrastructure – flexible, scalable and self-organized for controlling railway operations.